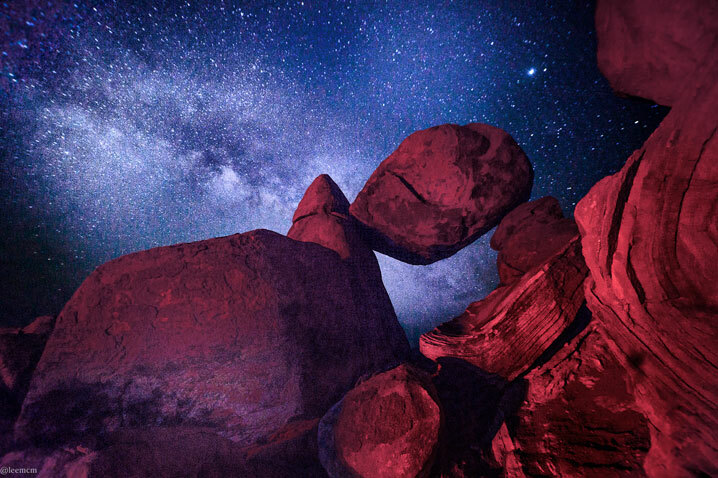 Behold all the stars of the night sky, stay among the ruins of a ghost town, and take in a wondrous sunset as you ride on horseback through the desert. These are just a few ways you can enjoy a surprisingly cool summer night in Big Bend. Much like the rest of the Lone Star State, it can get hot here in the summer. Yet there aren’t many places that offer as much once the sun sets, let alone all the majestic mountains and natural beauty to savor throughout the day. 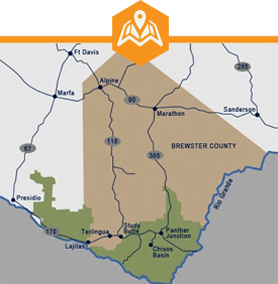 Discover why you should visit Big Bend this summer below, and start planning your trip here. It’s one of the most spectacular shows you’ll see anywhere and you don’t even need to pay for admission. After the sun sets, Big Bend’s night sky becomes a window to the universe through which you can see distant stars, planets, and even galaxies. The view of these wondrous celestial bodies is second to none thanks to our remote nature and minimal light pollution, making it a Class I dark sky on the Bortle Chart (the darkest designation possible). To actually see the stars for yourself, head to either Big Bend Ranch State Park or Big Bend National Park, both of which are recognized International Dark Sky Parks. Together, both parks form the largest contiguous area in the continental United States. Needless to say, you can stargaze just about anywhere in Big Bend. Yet there are a few spots you might want to consider. If you’re an admirer of astronomy, bring your telescope to the Marathon Sky Park. Located just half a mile west of Marathon at the Marathon Motel & RV Park, the park has concrete platforms and plenty of space to kick back and take in the glorious view. You can also see the stars from the stargazing platform atop Eve’s Garden Bed and Breakfast in Marathon. No matter where you are in Big Bend this summer, you’ll discover that the stars at night really are big and bright here. Riding horseback through valleys of cactuses and among the foothills of picturesque mountains is one of many bucket list-worthy experiences you must have while you’re in Big Bend. Since it is summertime, your best bet is to go on a sunset horseback riding tour. 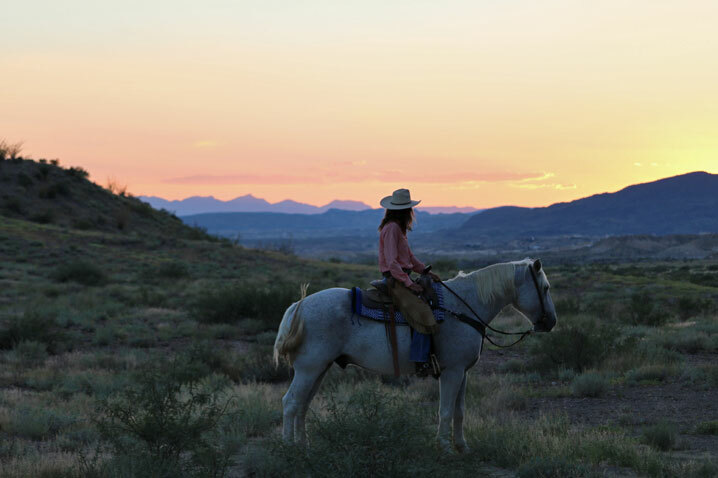 Feel like a cowboy (or cowgirl) as you watch the setting sun paint the desert in mesmerizing shades of pink, red and orange on an excursion with either Lajitas Golf Resort or Big Bend Stables. Lasting for two hours, these rides put you in the middle of some of the most beautiful desert terrain in the world as it comes alive in the evening. How can you beat that? You’ve spent a long, sunny day exploring all that Big Bend has to offer. What better way to follow that up than with a night out listening to some of the best bands around? From Marathon to Terlingua, there are one-of-a-kind venues all over the region that host live music throughout the year. 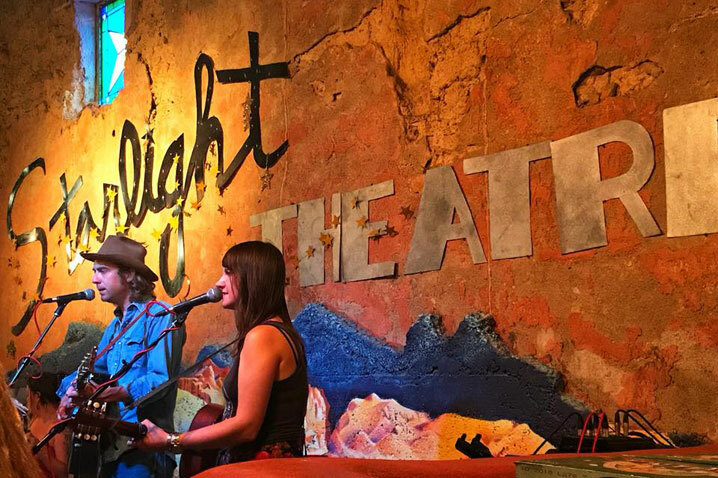 The Gage Hotel and Eve’s Garden Bed and Breakfast routinely host live music in the summer, as do the quirky The Starlight Theatre Restaurant & Saloon, La Kiva Restaurant & Bar, and High Sierra Bar & Grill in the Terlingua Ghost Town. If you’re in the southern reaches of Big Bend, giddy up to the Thirsty Goat Saloon in Lajitas. Hit the dance floor at this upscale Western-themed bar named for Clay Henry, a beer drinking goat who is actually the mayor in these here parts. When you need a break from the summer heat, a pint of delicious craft beer is hard to beat. Stop by the recently opened Brick Vault Barbecue and Brewery, where small-batch standbys like a robust pecan porter and a pair of pale ales are made onsite. Bring your appetite along with your thirst and you’ll find palate pleasers like smoked brisket, ribs, and sausage served with macaroni and cheese, coleslaw, and other tasty sides. 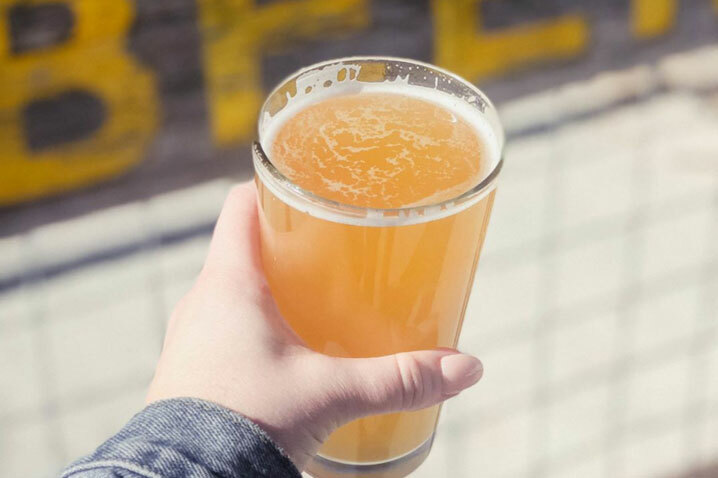 Located just steps away from the Gage Hotel, Brick Vault Barbecue and Brewery serves up locally made brews and mouthwatering barbecue along Marathon’s Main Street. A bed and breakfast with hand-built guest rooms, cozy tipis with fantastic views of Big Bend National Park, and casitas built on the foundations of the original Terlingua Ghost Town. These are among the many distinct places you can hang your hat in Big Bend, each offering a different way to savor all that makes this corner of Texas stand out. 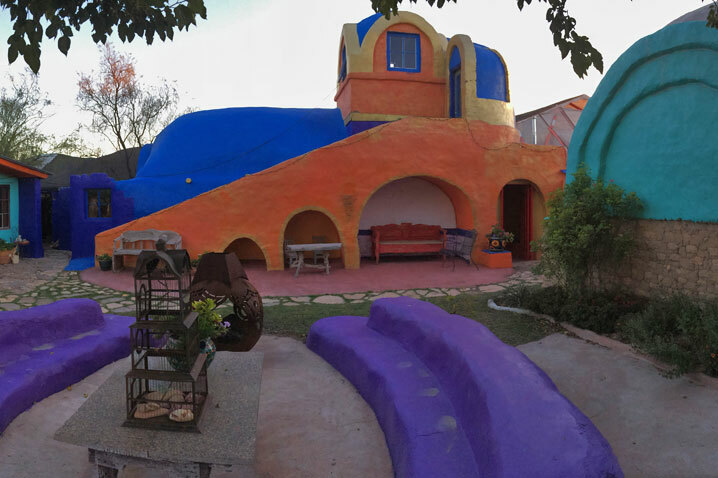 One such place is Eve’s Garden Bed and Breakfast, an eco-friendly getaway with brightly decorated guest rooms featuring arches and other inventive touches. Dig into the huge homemade breakfast and relax in the beautiful central garden before you head out to explore Big Bend National Park. Looking for a more outdoorsy experience, but not sure if you want to rough it out in nature? Then Basecamp Terlingua is for you. Enjoy glamping at its finest as you rest for the night in a tipi that has a comfortable king bed, coffee and tea station, microwave, and 400 square feet for you to stretch out in. Wake up in the morning and take in a stunning mountain views, then make the short journey into Big Bend National Park for a full day of hiking and exploring. For something more conventional, opt for the Casa Azul. Built on old ruins, the adobe-walled Casa Azul boasts plenty of southwestern charm and plenty of space for four people. Head into the Terlingua Ghost Town and you’ll find La Posada Milagro, a small hotel built among the town’s famous ruins. Settle into your rustic room furnished with tin roofs and doors and windows crafted locally. In the morning, step next door to Espresso… Y Poco Mas for a cup of espresso and one of the best breakfasts and lunches around. Make sure you get your fill, as you’ll need all that energy when you set out to discover Big Bend. Although summers in Big Bend can be hot, the cool evenings create all sorts of new possibilities. From doing some truly world-class stargazing, enjoying locally brewed beer, or admiring the colors of the sunset, you’ll discover that there’s always something amazing to do in Big Bend.